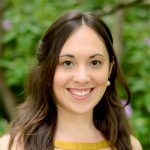 Laura has been working with nonprofits as a digital fundraising and marketing strategist at Sanky Communications for nearly a decade. Areas of particular focus include integrated campaign strategy, digital acquisition and advertising, and fundraising program analytics. She has spoken at various DMA, NTEN, DMFA, and AFP events. Prior to joining Sanky, she worked on the marketing team for the Broadway musical Wicked. Laura holds a B.A. in History and English from Columbia University and an M.A. in Media Studies from The New School.